Road trips are as American as baseball and apple pie. It’s just what we do for family vacations in the United States. America’s landscapes are vast and varied, making it the perfect place to explore by car. From funky roadside attractions to jaw-dropping vistas—there’s a road trip route to suit everyone. 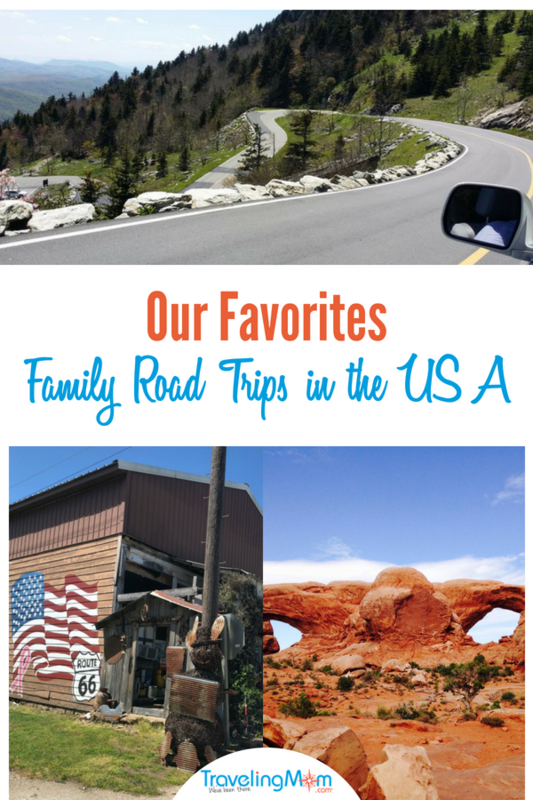 Here are some of our favorites for road trips USA style. It happened every summer. My parents, little brother and I would load up the family vehicle and set out on a road trip. In the early days—by that I mean the 1960s—we crammed into a tiny Volkswagen Bug. On another trip, it was a ’66 Ford Mustang. After years of listening to my brother and me fight about who was on whose side of the back seat, Daddy wised up and bought a van. Always a “do it yourself guy” he customized it himself. (Think 1970s shag carpet and bean bag chairs.) Oh yea, we were styling! Looking back, those road trips and the memories we made along the way were priceless. I carried on the family tradition when my kids were growing up. These days the kids are grown and road tripping with their children. And me? I’m still road tripping. Sometimes I road trip solo. Other times I’m with my husband. And in the summertime, I’m often on the road making memories with the grandkids. I’ve even had some Thelma and Louise cross country adventures. In short, I know a thing or two about hitting the open road and I’m happy to share it with you. There’s a reason the landscape of the United States was described with such poetic terms by Katherine Lee in America the Beautiful. From sea to shining sea, this really is one big beautiful country. Take a few days on the American road to explore the vast wide-open spaces and glorious mountains. Pick your favorite: winding country roads, coastal highways, byways through stunning mountain landscapes or long flat stretches of the Great Plains —we have it all. 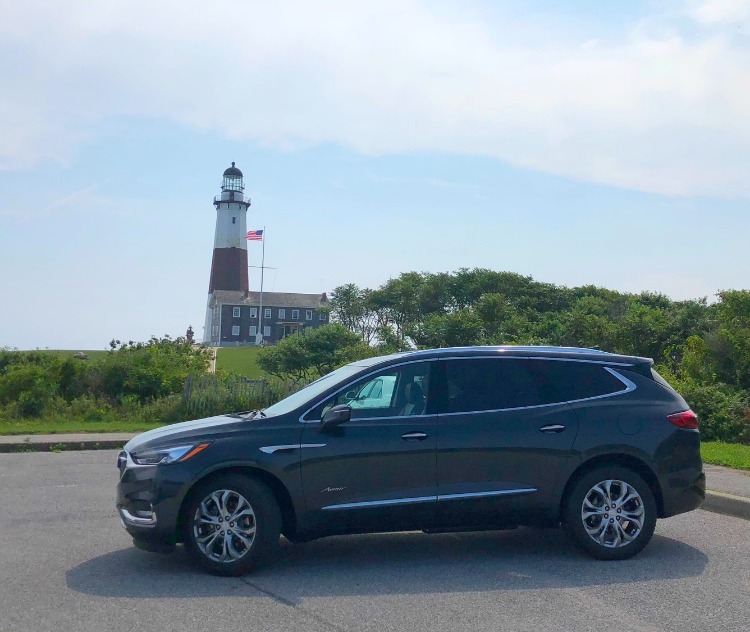 Montauk Highway is a favorite for road trips on the east coast. Often referred to as the “end of the road,” Montauk is as far east as you can go on Long Island, New York. As the Hampton’s easternmost town, it’s a popular destination for city dwellers looking for an escape. Heading east from New York City you’ll have a relaxing ride along the coastline of Long Island. Tip: Time your trip for the weekdays to avoid those over-eager city dwellers. Lobster stands will tempt you along the way. But if you can only choose one, make it The Lobster Roll restaurant known as LUNCH. Housed in a red, white and blue clapboard building LUNCH has been serving lobster rolls, crab cakes and all kinds of tasty seafood since 1965. Embracing the atmosphere of a nostalgic roadside shack, LUNCH stands amid the sand dunes, gardens of summer flowers, umbrellas, beach balls, picnic tables and plenty of happy lobster lovers. When you’re ready to explore, head out to Montauk Point State Park. Located on the eastern tip of the South Shore of Long Island, the park offers nature trails and stunning views of the Atlantic Ocean as it meets the Block Island Sound. You can work off those lobster rolls along with some of the kids’ excess energy with a climb to the top of Montauk Point Lighthouse. Authorized by the Second Congress under President George Washington, Montauk Point Lighthouse is the oldest lighthouse in New York. Stretching from Maine to Key West along the east coast, Route 1 offers an abundance of options for road trips on the east coast. I’ve covered much of this road over the years. Highlights for my family included checking out the lighthouses in Maine, walking through history in Boston, and catching blue crabs in Charleston. 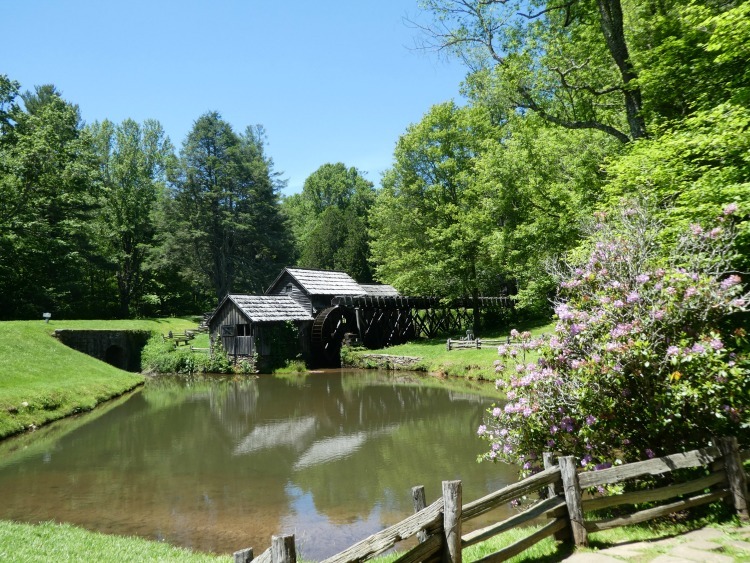 It’s off Route 1, but one of my favorite road trips in the Southeast is the Blue Ridge Parkway. It’s also one of the country’s most famous scenic drives. Beginning at the edge of Virginia’s Shenandoah National Park, the Blue Ridge winds 469 miles south through North Carolina to the Great Smokey Mountains National Park. Split rail fences, historic structures, and old farmsteads tell the story of the route’s history along the way. Scenic overlooks yield views of majestic mountains and deep ravines. Give the kids a break from the ride by taking one of the many hikes just off the parkway. It’s an ideal way to stop the “are we there yet” refrain. Don’t miss Grandfather Mountain one mile off the parkway at milepost 305. You may recognize the road up—it’s the last stretch of Forest Gump’s cross-country run. Road trips to Disney are always a Florida favorite. And with beaches lining the state along the Panhandle, Gulf of Mexico and the Atlantic Ocean, there are countless options for seaside road trips. For a unique adventure, don’t just drive beside the sea, drive over it. Head out to sea on the Overseas Highway in the Florida Keys. 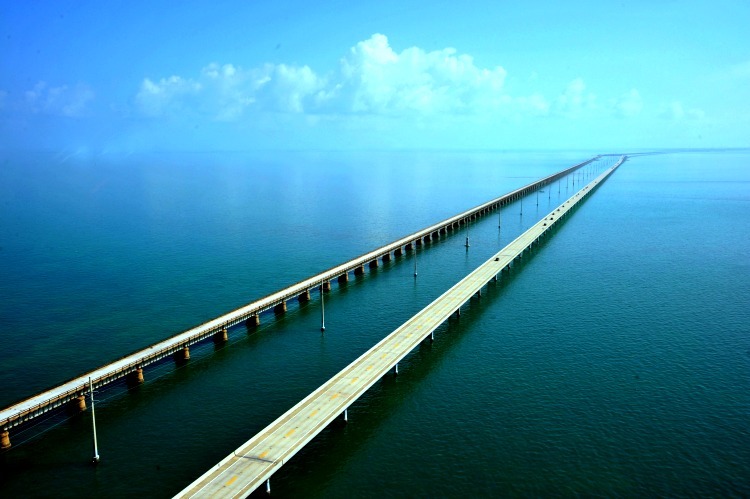 Connecting Miami to Key West, the Overseas Highway is a 124-mile roadway that sits atop a vast expanse of clear turquoise water. Originally part of Henry Flagler’s short-lived East Coast Railroad extension, the highway was built after the railroad was destroyed in a 1935 hurricane. Take your time and discover secluded islands, historic shipwrecks and some of the best fishing holes in the country. With unobstructed views to the east and west, you choose if you want to time your trip to catch sunrise or sunset. If the weather is right, either choice is spectacular. For a lesson in wildlife sustainability for the kids, schedule some time at the Turtle Hospital in Marathon located at mile marker 48.5 on the Overseas Highway. The only one of its kind in the world, the volunteers at the Turtle Hospital rescues, rehabilitate and release sick and injured sea turtles. Daily guided educational tours are offered. We learned so much about these turtles on our visit and even had the chance to meet some of the “patients” while we were there. It’s big—the biggest state in the continental 48—and it takes a while to cross it. That just means road trips in Texas are always epic. I’ve traversed Texas several times from the Gulf of Mexico in the east to the stunning landscapes of Big Bend National Park in the southwest. I’ve traveled through the Hill Country between Austin and San Antonio. And, I’ve sampled more than my share of breakfast tortillas at Delia’s Tamales in the border town of McAllen. 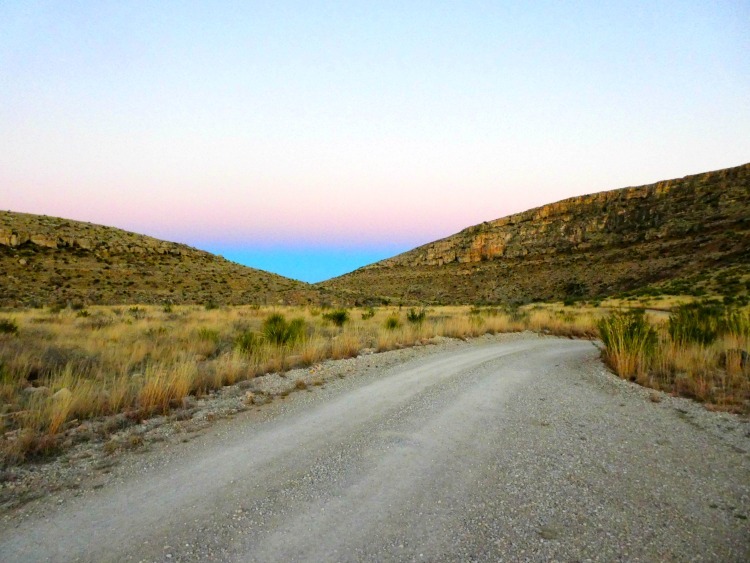 Take any road in Texas and you’ll find a wealth of discoveries. Heading west to Amarillo I expected to find cowboys, steaks and dusty highways—and I found all of that and more. 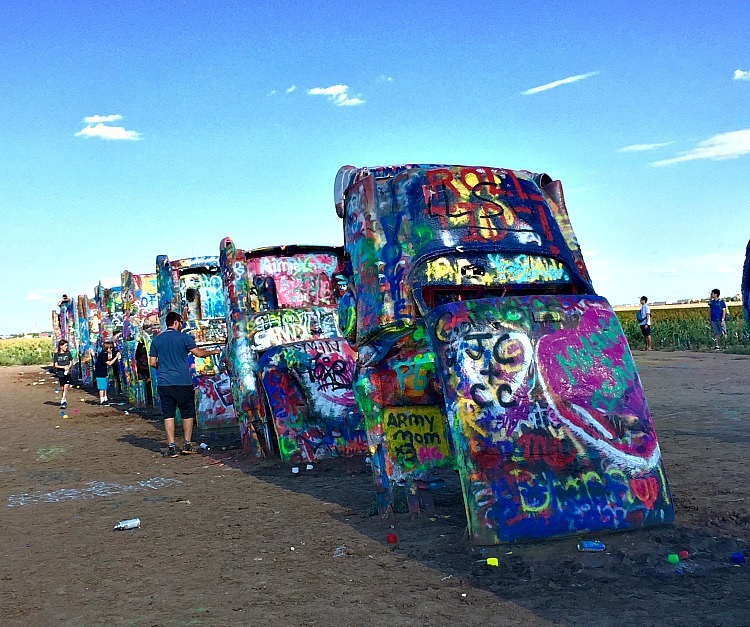 For example, there’s the funky roadside attraction, Cadillac Ranch. Here ten Cadillacs are half-buried nose down into the dirt. It’s a not-to-be-missed roadside attraction. Tip: Stop at the nearby Home Depot on the way and pick up a can of spray paint. Then you and the kids can leave your own artistic mark on this American icon. With 5 national parks scattered across its landscape, it’s hard not to find a scenic road in Utah. One of the most awe-inspiring is Route 12—often referred to as A Journey Through Time Scenic Byway. Connecting Bryce Canyon with the Capital Reef, Route 12 is 122 miles of jaw-dropping beauty. This little slice of heaven on earth passes through Red Canyon and Bryce Canyon National Park. From there it climbs Boulder Mountain in the Dixie National Forest before ending at the entrance to Capital Reef National Park. You could easily run out of adjectives in an attempt to describe the spectacular scenery that blankets this part of the country. Multicolored sandstone cliffs, ancient Native American settlements and abandoned Western movie sets await at Grand Staircase-Escalante. Prepare to be wowed following the summit of Boulder Mountain where a 30-mile stretch of the byway winds through a forested landscape. The colorful Capitol Reef National Park, the Circle Cliffs, and the Henry Mountains are in view—all framed by the trees of Dixie National Forest. Make sure to spend some time hiking in Bryce Canyon National Park amid the brightly colored hoodoos and scented Ponderosa pines. The dazzling sunrise at Sunrise Point is worth getting up early to catch even for this night owl. 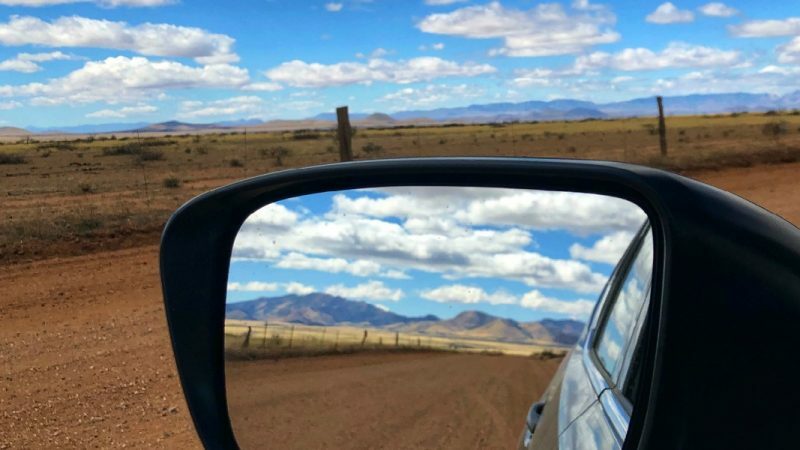 With miles of open space, road trips across the southwest are epic. 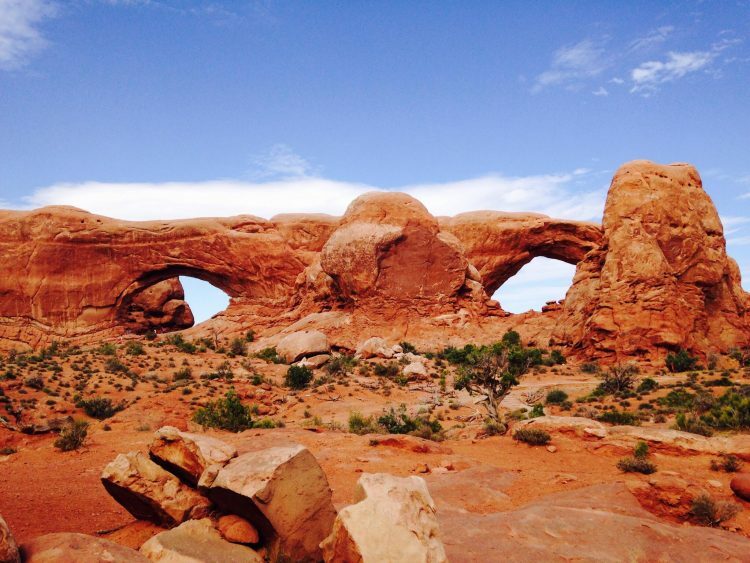 The terrain ranges from desert to mountainous…all of it beautiful. New Mexico is the only state that is home to three UNESCO World Heritage Sites: Chaco Canyon, Taos Pueblo and Carlsbad Caverns. It’s also a state with an unexpected Spanish history and influence. In this enchanting state, you’ll find national treasures like the dazzling White Sands National Monument. On our New Mexico road trip we learned the truth about Truth & Consequences (hint: it’s all about the hot springs.) And we did our best to find an alien in Roswell. Along the way, we sampled plenty of green chiles and lived to drive another day. Arizona is equally impressive with desert landscapes surrounded by rugged mountain peaks, miles of wide-open space, charming little towns with histories rooted in the wild west, and mining communities reinvented as artist havens. One of my favorite finds, Bisbee was once a copper mining town. But when the Queen Mine closed, Bisbee reinvented itself as an artist haven. Colorful art and characters are everywhere in this endearing town. 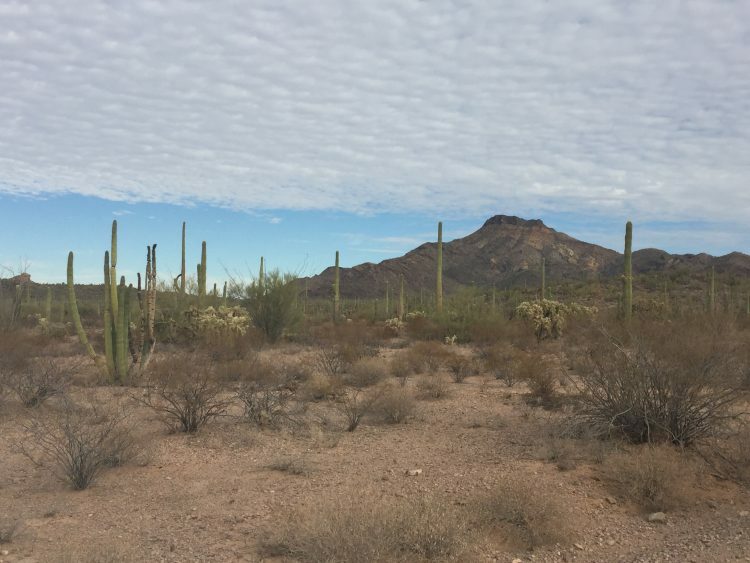 For the ultimate desert road trip, head to Organ Pipe National Monument where 500 square miles of stunning desert landscape showcases an incredible variety of cacti. 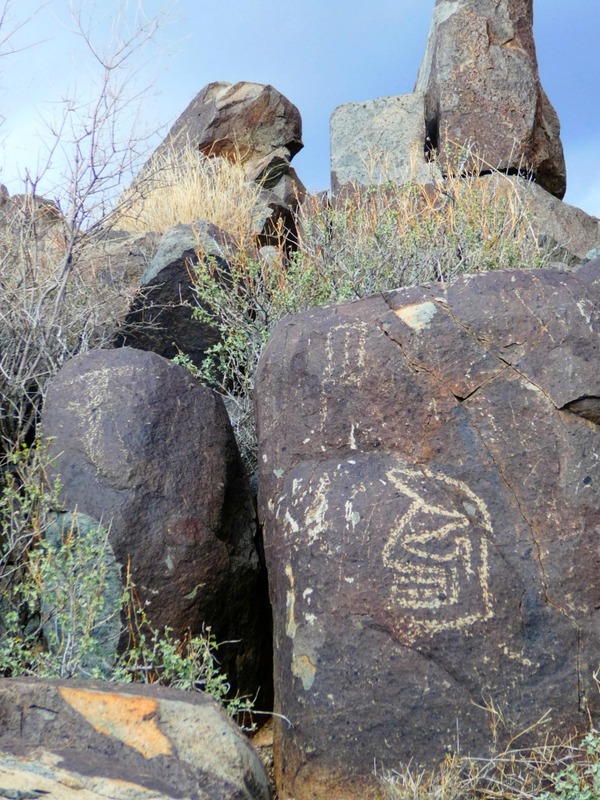 We got a glimpse of it all on the Ajo Mountain Drive. This 21-mile one-way loop puts some of the park’s best scenery on display. The gravel road climbs from the valley floor into the foothills of the Ajo Mountains skirting past towering walls of cliffs and sculpted canyons. 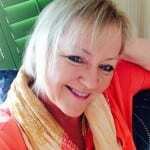 Read More: Taking the Tweens and Teens? Read This First! Everyone should take a California road trip at least once in their lifetime. I think I’ve taken about 10—and I’m not done yet. There are plenty of road trips in California to choose from, but my absolute favorite is the Pacific Coast Highway 1. Running almost the entire length of the California coast, the iconic PCH is like the sampler platter of road trips. As you hug the twisting, turning coastline, waves crash over the rocks in the ocean below. On the opposite side of the highway, fertile farmland gives way to charming seaside villages. The entire route is gorgeous but the section between Santa Barbara and San Francisco is spectacular. 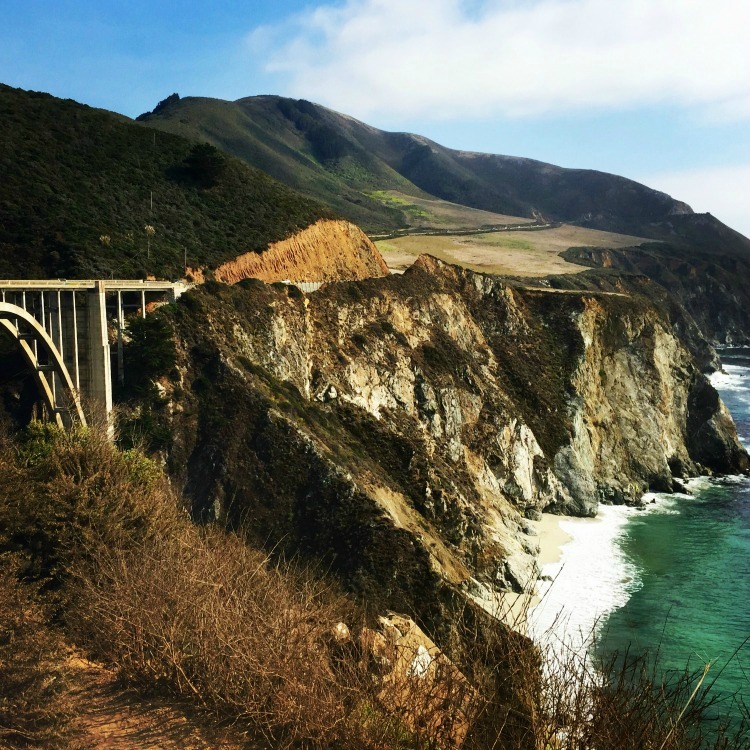 Highlights along the road include Monterey’s 17-mile drive through Pebble Beach and Carmel and the iconic Bixby Bridge in Big Sur. With an abundance of moody skies, soaring mountains, towering redwoods and coastal vistas, road trips in the Pacific Northwest are destined to be beautiful. Choose any road from Oregon to the Canadian border and you’ll have a winner. One of my favorites is Route 2 in Washington known as Stevens Pass. As part of the Cascade Loop Scenic Highway, Stevens Pass runs 90 miles from Monroe to just past Leavenworth in Washington State. This remarkable alpine landscape is graced with waterfall-streaked mountains and gushing rivers. I drove this with my BFF on a Thelma and Louise road trip in late September. The snow-capped mountains were dressed in rich autumn colors merging the two seasons for one spectacular scene. Plummeting some 265 feet, Wallace Falls is the largest of the waterfalls along Route 2. We hiked along Woody Trail in Wallace Falls State Park at milepost 27. This brought us up close to some of the falls’ most dramatic spots. Further down the byway at milepost 56, Deception Falls picnic area brought us as close to the whitewater of the thundering creek as possible without being in a raft. And when we reached Leavenworth, we felt as if we’d left the USA for Bavaria. This picturesque little town serves up all the Bratwurst, schnitzel, accordion music and brews you can handle. It’s also home to the world’s largest nutcracker collection at the Nutcracker Museum. Referred to as America’s Main Street, Route 66 is the USA’s most iconic road trip. When it opened on November 11, 1926, Route 66 covered 2,448 miles from Chicago, Illinois, to Los Angeles, California. Although it has been replaced by interstates in many locations, Historic Route 66 has been revived in recent decades by communities along the route. There’s no better road in the country to share with your family. 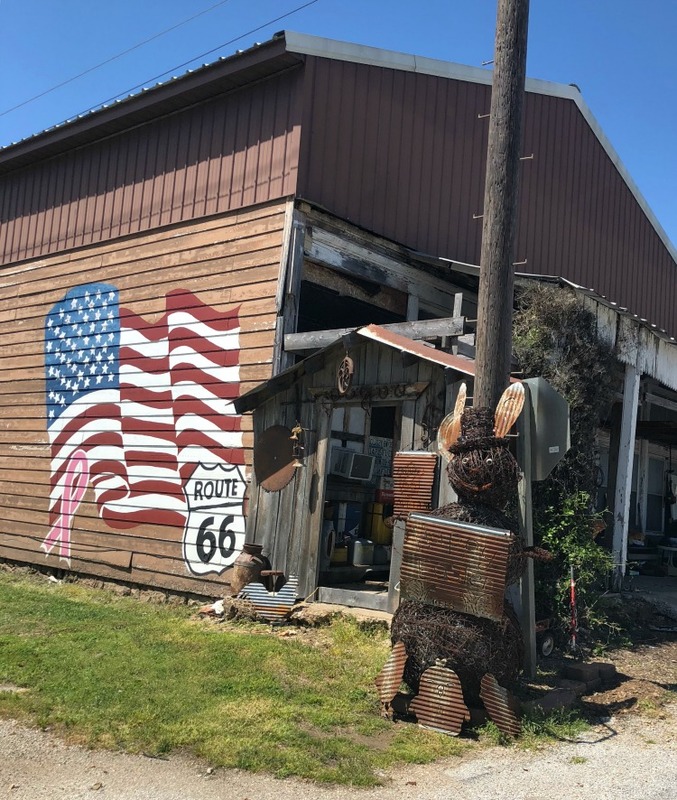 Neon signs, Mom & Pop eateries, kitschy roadside motels, and historic Route 66 markers serve as reminders of days gone by along the “Mother Road of America.” If you’re looking for a big scoop of Americana, you’ll definitely get your kicks on Route 66. Read More: 11 FREE Things to Do in Oklahoma City! If you can’t do the full road, consider including Route 66 as a Midwest road trip. Route 66 was born in Springfield, Missouri in 1926. Today you’ll find plenty of Route 66 themed signs, eateries, and motels throughout the city. Springfield’s retro Steak-n-Shake is a fun stop serving up the chain’s iconic burgers and chili with a side of neon lights. I slept my way into the nostalgic Americana with a night at the Rail Haven. One of the many roadside motor inns popular in the Route 66 heyday, Rail Haven has eight sandstone cottages built in 1938. Schedule your visit for August and you’ll catch the Birthplace of Route 66 Festival. Road trips are meant for making memories. But no one wants all of those memories to be of the kids whining. To keep the number of “are we there yets?” to a minimum, plan ahead. TravelingMoms have a lot of experience with road trips and we have tips for the best road trip snacks for everyone from toddlers to teens. If you’re inclined to make the treats yourself, check out our road trip snacks recipes. You’ll need fun family road trip games and is there any better time to have a sing-along than when you’re road tripping? Of course not, and we have the best road trip songs for families. Sometimes the road gets long so our road trip survival tips may come in handy. Check out our must-have list of accessories and our essential spring break family road trip tips. We’ve got you covered so go out and make some memories!